Fencing is a sport born out of the traditional skills of swordsmanship (think Game of Thrones!). You take on your opponent in a one-on-one duel and earn points by making contact with them. Remember the sword fights you pretended to have as a kid? Take it to the next level and try out fencing! Fencing uses precision, strategy and technique and offers an intense competitive game that anyone can enjoy. Usually taking place inside, you can practice fencing all year round and escape the London rain! 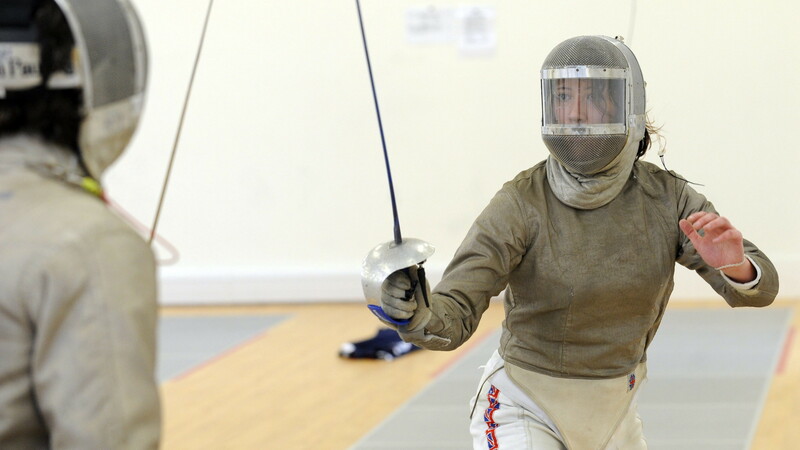 It’s something different, if you’ve tried other sports and it hasn’t worked out, fencing might be the thing for you! There’s lots of protective padding in fencing so it’s best to check with the club or session organiser provides before you go along. Find out more about Fencing? Find out more about fencing by visiting England Fencing.